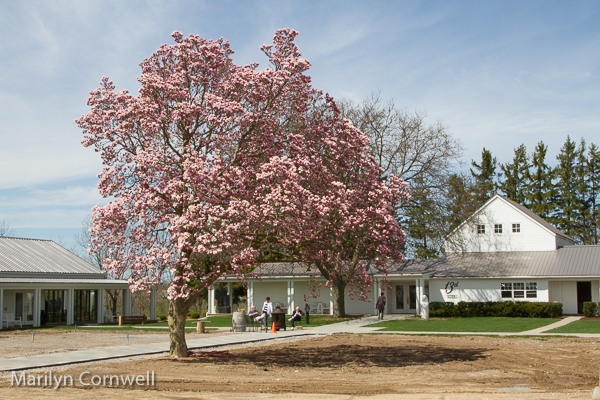 I went to Thirteenth Street Winery on Saturday to catch some pictures of the Magnolia Tree. I experienced quite a shock. The pretty red barn beside the tree is gone. Entirely gone. 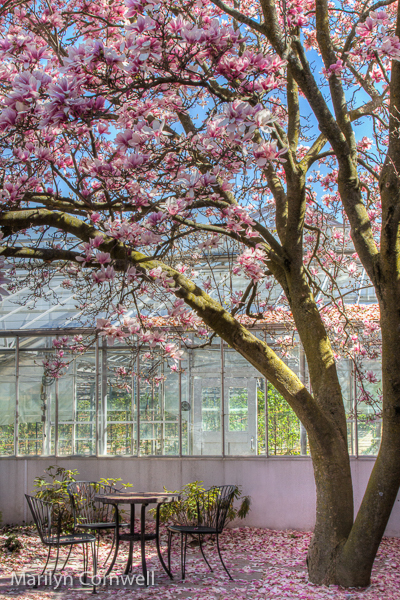 The magnolia sits alone on a bare landscape. The great new magnificent facility has nothing 'old' to detract from it. This is the second barn that disappeared in the last few weeks. I got to take pictures of this one over the years and capture what made it such an enjoyable experience. And I was lucky to start in 2012 as the greenhouse in the first picture was removed by 2014 along with the blackberry bushes in it. 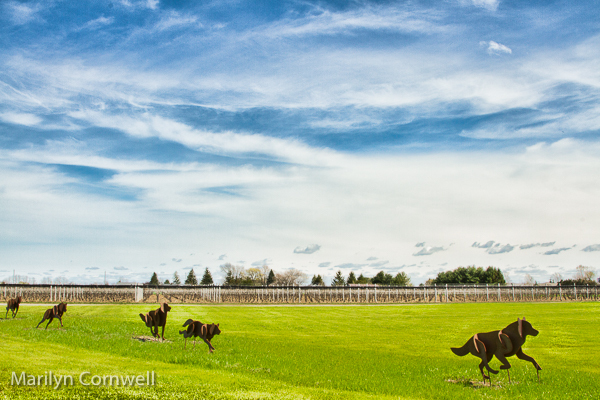 The running dogs sculpture is just behind where it was. Thirteenth Street continues its movement towards a major winery destination. I'll take pictures of the new facility for you - it is very beautiful. I hadn't thought about capturing this in a more disciplined way over time, so as to have a sequence of images. I thought the winery was perfect and it would stay "Whitty Bakery Market and Thirteenth Street Winery". This has a parallel to Toronto: seeing what is gone and what has replaced it every time I am there. For the Greenlane barn, I hadn't taken any pictures. It first came to my attention this winter and it never seemed to be the right circumstance - cars in front that couldn't be cloned out sufficiently, and the light was wrong - things like that. It wasn't a shock to see the blank space, though, because of the constant cars and the new house slightly up the hill behind it. A lesson learned from this - seize the moment. So I did a lot of stopping on Saturday to take pictures of dilapidated buildings that may be at risk. I expect this is a new Portfolio Series on old buildings with the Wabi-sabi sense. Stay tuned.